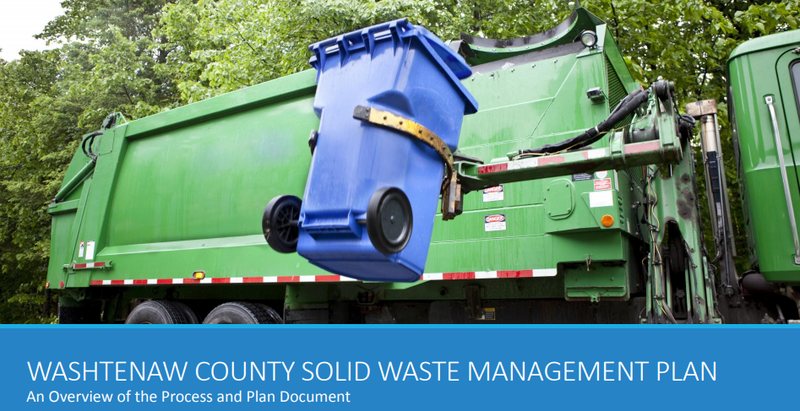 A presentation about Washtenaw County's solid waste plan is one highlight on tonight's agenda. Tonight is the first #YpsiCouncil meeting of March. You can check out the agenda here. There will be three important presentations at the meeting. Evan Pratt will be talking about the County's solid waste plan. AAATA Board Member Gillian Ream Gainsley will be presenting about the upcoming AAATA transit millage renewal. You can get a sneak peek at these presentations in this March 6th Council Packet. The solid waste plan starts on page 3 and the AAATA presentation starts on page 32. Tonight at City Hall the city council is going to discuss the Community Benefits Ordinance drafted by the city. As currently designed it sets up a city appointed ad hoc committee that makes recommendations to the city who then negotiates with the developer. By contrast [in REDY's] CBO framework an ad hoc committee, the majority chosen by the community, directly negotiates with a developer and reports back to a mass meeting of the community. Under the city’s draft there is no open meeting of the community. Finally there is one last item that caught my interest on tonight's agenda. EMU is working on privatizing their parking services, and tonight, the Ypsilanti City Council is voting on a resolution to support EMU. To be honest, the whole thing seems a little convoluted and I don't know as much about it as I should. Mark Maynard has closer look at this agenda item over on his site. You can follow the action live on the Ypsi Live facebook page.